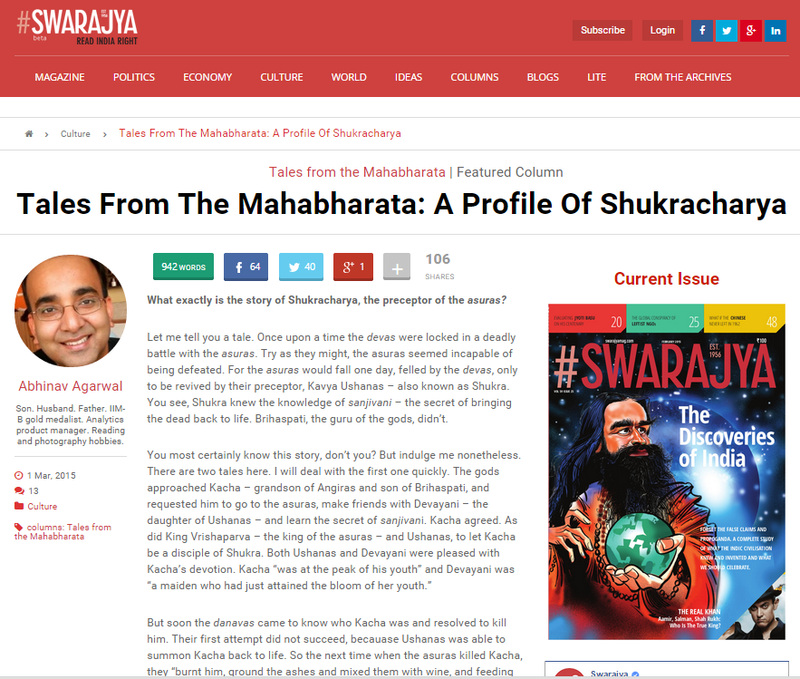 My ninth story in the series, Tales from the Mahabharata, was published in Swarajya Magazine on March 1, 2015. Here is the article as it appeared. Let me tell you a tale. Once upon a time the devas were locked in a deadly battle with the asuras. Try as they might, the asuras seemed incapable of being defeated. For the asuras would fall one day, felled by the devas, only to be revived by their preceptor, Kavya Ushanas - also known as Shukra. You see, Shukra knew the knowledge of sanjivani - the secret of bringing the dead back to life. Brihaspati, the guru of the gods, didn't.